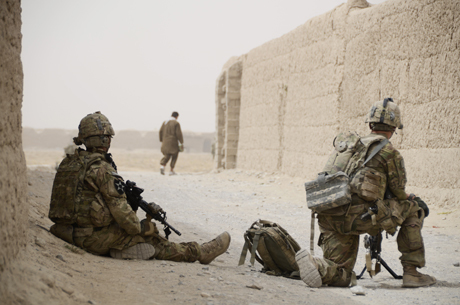 Mild traumatic brain injury from improvised explosive devices is an injury particular to veterans of the wars in Iraq and Afghanistan. As has been seen in some athletes who sustain repeated mild traumatic brain injuries, such as boxers and football players, neurodegenerative dementias such as chronic traumatic encephalopathy can follow these repeated brain injuries. Researchers are hoping to identify biomarkers that would help in the diagnosis and monitoring of repeated blast-induced mild traumatic brain injury. Researcher Elaine Peskind and colleagues have determined that both deployment to these wars and mild traumatic brain injuries received there are associated with increased inflammatory cytokines in cerebrospinal fluid. In the study, veterans who had been deployed to Iraq or Afghanistan and had received mild traumatic brain injuries were compared to veterans who were deployed but who were not similarly injured and community participants who had neither been deployed nor experienced a brain injury. The average number of concussion-inducing blasts veterans in the first group had experienced was 14, with the latest occurring an average of four years prior to the study. Inflammatory cytokine IL-7 was elevated in the spinal fluid of those veterans who had sustained brain injuries. IL-6 was higher both in those deployed and in those who sustained blasts. Eotaxin and granulocyte colony stimulating factor were higher in all of the veterans who had been deployed. These cytokine abnormalities could account for behavior and cognitive difficulties associated with traumatic brain injury. The researchers concluded that both deployment and mild traumatic brain injury were associated with neural damage and neuroimmune responses. Editor’s Note: Michael E. Hoffer et al. reported in the journal PLosOne in 2013 that veterans with blast-induced mild traumatic brain injury had a better acute outcome when they were given the antioxidant N-acetylcysteine (NAC) within the first 24 hours after the trauma. It is interesting to speculate whether this could be explained by NAC’s anti-inflammatory effects, its enhancement of another antioxidant (glutathione), or its ability to increase glial glutamate transporters. Researcher Dewleen Baker reported in a personal communication to this editor (Robert Post) that in her patients, traumatic brain injury was also associated with white matter abnormalities, and that these injuries conveyed an increased risk of developing PTSD as well. 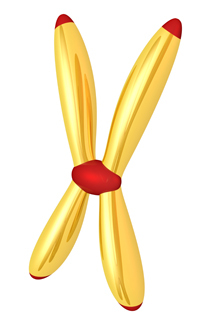 Telomeres sit at the end of DNA strands and shorten with each cell replication. Shorter telomeres are associated with aging and an increase in multiple medical and psychiatric disorders, while some healthy behaviors including exercising, eating healthy, avoiding smoking, and even being married can help maintain telomere length. 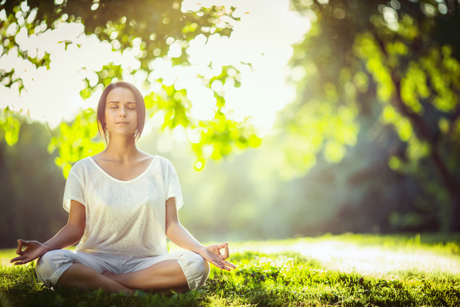 New data from researcher Elizabeth Hoge and colleagues suggests that a particular type of meditation can lengthen telomeres. Previous research has found that three months of full-time meditation increased telomerase, an enzyme that repairs telomeres. Loving-Kindness meditation, which comes from the Vipassana Buddhist tradition and focuses on positive intentions, unselfish kindess, and warmth towards all people, has been found to produce positive effects in individuals who practice it, including increasing positive emotions and sense of purpose, and bringing about improvement in physical symptoms including headaches, nasal congestion, and weakness. Hoge and colleagues hypothesized that people who practice Loving-Kindness meditation would have longer telomeres than control participants of the same age, gender, education level, and experience of depression. Participants who practiced Loving-Kindness meditation had been doing so near-daily for at least four years, and averaged 512 lifetime hours of this particular type of meditation, and 4,927 lifetime hours of any type of meditation. The researchers found a trend toward longer relative telomere length in the Loving-Kindess meditation group compared to the control group, and significantly longer telomeres in women who meditated than in women who did not. The researchers conclude that meditation may have a positive effect on mortality. Other habits that are focused on others, such as caring for a spouse, volunteering in the community, and practicing compassion, forgiveness, and altruism have been found to have health benefits. In a 2012 longitudinal study of elderly participants by Loren Toussaint et al. in the Journal of Behavioral Medicine, forgiveness was associated with longevity. Thaddeus W.W. Pace et al. reported in a 2009 article in Psychoneuroendocrinology that compassion meditation reduced levels of certain inflammatory markers. Editor’s Note: People with affective disorders or at risk for them should consider making some of these positive lifestyle practices part of their daily routine. Stress can trigger former drug users to begin taking drugs again. In clinical trials, the bonding hormone oxytocin has been found to reduce stress-induced cravings for certain drugs, including alcohol and marijuana. A new study in animals suggests that oxytocin may be able to reduce stress-induced cocaine cravings as well. Brandon Bentzley and colleagues combined an unpredictable shock to the foot with an alkaloid called yohimbe that comes from a particular tree bark to apply stress to animals who had previously developed a cocaine self-administration habit that had since been extinguished. The combination of the foot shocks and yohimbe brought back robust reinstatement of the animals’ cocaine seeking behaviors, but pretreatment with oxytocin (at doses of 1 mg/kg) prevented this reinstatement. 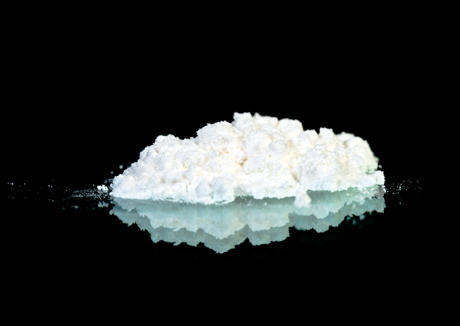 This research suggests that oxytocin has potential to prevent stress-induced cocaine cravings in people. 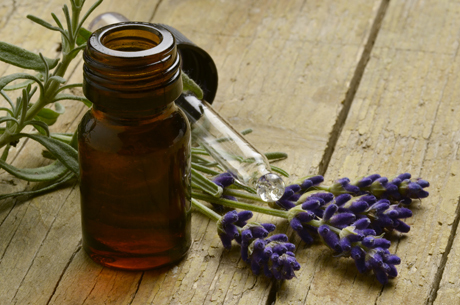 An oral preparation of lavender oil called Silexan was previously found to reduce anxiety in people with generalized anxiety disorders or subthreshold anxiety symptoms without causing sedation. It seems to work by inhibiting voltage dependent calcium channels in a manner similar to the anti-anxiety drug pregabalin. Unlike pregabalin, the lavender oil treatment also reduced depression in the people with subthreshold anxiety. Researchers are now exploring lavender oil’s effects on rats who exhibit behaviors that resemble human depression, and on rat and human cells in vitro. Silexan had positive effects on rats with depression-like behaviors, increasing the time they would swim before giving up in a forced swim test. 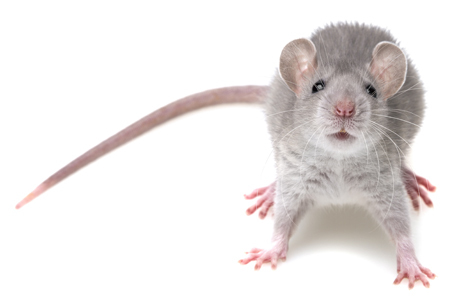 It also increased the growth of rat and human neurons in a lab setting. These effects are usually connected with activation of a protein called CREB that turns on some genes that affect mood. The researchers, led by Walter Mueller, were able to clarify the pathway for this activation by inhibiting specific kinases, enzymes responsible for transferring phosphates across different molecules. The kinases involved included PKA, PI3K, MAPK and CaMK IV. Editor’s Note: Oral lavender supplements may help improve anxiety and depression without sedation. Mice with a particular genetic mutation affecting circadian rhythms exhibit symptoms that resemble those of human mania: disruption of sleep and wake cycles, hyperactivity, and reduced anxiety and depression. It has been found that these behaviors can be normalized by inhibiting a type of enzyme called histone deacetylases (HDACs). HDACs bring about epigenetic changes to gene transcription by removing acetyl groups from histones, the structures around which DNA is wrapped. Removal of the acetyl group tightens the structure of the DNA, making it more difficult to transcribe. The drug valproate (trade name Depakote) is one type of HDAC inhibitor. It prevents the removal of the acetyl groups, loosening the structure of the DNA, making it easier to transcribe. A recent study by Ryan Logan and colleagues compared the effects of valproate and other HDAC inhibitors on mice with a mutation in the Clock delta 19 gene, which causes mania-like symptoms. Valproate and the HDAC inhibitor SAHA both normalized the mice behavior. MS275, another HDAC inhibitor that targets only class I HDACs, also normalized the behaviors. The researchers were able to determine that all of these treatments targeted a specific class I HDAC called HDAC2, which has been implicated in schizoaffective and bipolar disorders. These data link epigenetic mechanisms (HDAC inhibition) to the antimanic effects of valproate in this animal model of mania. It appears that maintaining the presence of acetyl groups on histones has antimanic effects in mice with a mutation in the Clock delta 19 gene. In a study of the effect on infant health of a mother’s experience of adversity in childhood by researcher Deborah Kim and colleagues, both adversity in childhood (such as physical abuse or the loss of a parent) and stress during pregnancy were associated with low infant birth weight and lower gestational age at birth. Among 146 women enrolled in the study, 58.2% percent scored a 0 on the Adverse Childhood Experience Questionnaire (ACE), 24% scored a 1, and 17.8% scored a 2. Those who scored higher on the ACE also scored higher on a scale measuring perceived stress. A score of 2 or higher on the ACE was associated with lower gestational age at birth, indicating infants born prematurely. Greater stress during pregnancy was associated with lower gestational age at birth and lower infant birth weight. When potential confounding demographic factors were removed from the analyses, ACE scores of 2 or higher were still associated with lower infant birth weight, while perceived stress was no longer associated with either low birth weight or gestational age. Childhood adversity is associated with increases in inflammation and multiple adverse medical consequences in adults. The researchers called childhood adversity a “significant predictor of poor delivery outcomes” for women. Editor’s Note: This research shows that a mother’s health and earlier life stressors could have an adverse effect on her child. Childhood adversity leaves behind a residue of neuroendocrine and neuroclinical alterations that can persist into adulthood. Many are mediated by epigenetic changes, consisting of small chemical marks that attach to DNA and the histones around which it is wrapped. In addition to these neurobiological alterations mediated by epigenetic effects, there is new evidence that some epigenetic marks can be passed on to the next generation via a mother’s egg or a father’s sperm. Thus, either directly or indirectly, parents’ adverse life experiences can influence the health of their offspring. Disruptions to circadian rhythms are common in mood disorders, leading some researchers to believe that normalizing these daily rhythms may improve the illnesses. Several genes, called CLOCK genes, are implicated in circadian rhythms. In animal studies, researcher Marco Riva and colleagues are examining the expression of CLOCK genes in different brain regions as a result of chronic stress that is meant to produce behaviors resembling human depression. Male rats were exposed to chronic mild stress for two weeks, and divided into those that were susceptible to stress (identified by their loss of interest in sucrose) and those who were not. Then the rats were randomized to receive either a placebo treatment or 3 mg/kg/day of the atypical antipsychotic lurasidone (trade name Latuda), which has been effective in bipolar depression, during five more weeks of the stress procedure. The researchers observed the expression of clock genes Clock/Bmal1, Per1, Per2, Cry1, and Cry2. In susceptible rats, the chronic mild stress decreased the clock genes Per1, Per2, and Cry2 in the prefrontal cortex. Lurasidone reversed these CLOCK gene abnormalities and the rats’ depression-like behaviors, which may explain some of the drug’s efficacy in bipolar depression. Editor’s Note: Lurasidone is also a potent inhibitor of 5HT7 serotonin receptors, an effect that has been linked to antidepressant efficacy. Lurasidone also increases brain-derived neurotrophic factor (BDNF), which is important for learning and memory, and prevents stress from decreasing BDNF. Now it seems that lurasidone’s normalization of CLOCK genes may be another mechanism that explains the drug’s antidepressant effects. Sensory gating is a process by which the brain filters out unimportant information, to avoid flooding higher cortical centers with irrelevant stimuli. New research from Randal Ross and colleagues shows that infants of mothers with anxiety have deficits in the way their brains inhibit response to this type of irrelevant information. Mothers who were rated higher on the trait of anxiety had paradoxically lower levels of the inflammatory cytokine interleukin 6 at week 16 of their pregnancy, and their one-month-old infants showed more deficits in sensory gating. The reasons for these relationships requires further investigation. Choline is a nutrient found in liver, muscle meats, fish, nuts, and eggs, and it may help. In a 2013 article in the American Journal of Psychiatry, Ross and colleagues showed that the supplement phosphatidylcholine (which converts to choline), taken during the second and third trimesters of pregnancy (at doses of 6300 mg/day, the equivalent of about three eggs) and followed up with 700 mg/day in the infant, led to improvements in sensory gating in the infants. These infants went on to have fewer behavioral problems as toddlers. Ross and colleagues suggest that pre- and post-natal choline supplementation may be able to reverse the effects of maternal anxiety on infants. The researchers believe it could be helpful in the prevention of schizophrenia, as insufficient cerebral inhibition (decreased sensory gating) is a characteristic of that illness as well. In a recent retrospective study, people with bipolar disorder I, bipolar disorder II, and major depressive disorder were interviewed about a 14-year period of their illness, and several differences emerged. People with bipolar disorder I described their illnesses as including more psychomotor retardation (slowing of movements) and more psychotic features. People with bipolar disorder II had more mixed states than both people with major depression and people with bipolar I disorder. They also had less psychomotor slowing than people with bipolar I disorder. 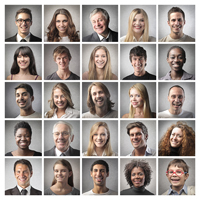 Another purpose of this study by Andrew Frankland and colleagues in the Journal of Clinical Psychiatry, was to determine the effectiveness of the Probabalistic Approach to Bipolar Disorder, a statistical method for differentiating diagnoses. The approach was successful in differentiating both bipolar subtypes from major depression, but not in differentiating between the bipolar subtypes.